You already know how delicious your favorite ORGANO products are, and this Halloween is a perfect time to show that to your customers. This month, host a Halloween-themed OG Mixer and prepare some treats to show how ORGANO products can also make the most flavorful recipes. Get everyone in the mood for the season with an ORGANO™ Pumpkin Spice Latte. Prepared with our Gourmet Café Latte, this warm beverage has a non-dairy creamer for those who are lactose intolerant. It also enhances your health with the antioxidative properties of coffee and Ganoderma. Add water, pumpkin puree, and pumpkin pie spice on a saucepan and mix well over medium heat. 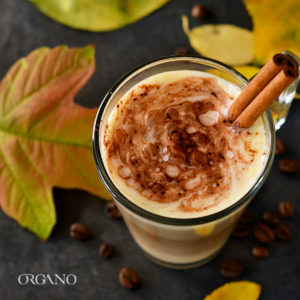 Remove the saucepan from the heat and whisk your ORGANO Gourmet Latte. 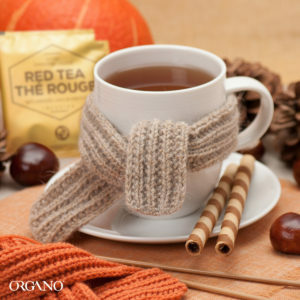 For those craving some pumpkin spice but prefer to have a soothing cup of tea, prepare the Red Pumpkin Spice Tea. The tea leaves of this beverage will help you to relax, and the added Cordyceps will boost your health with their extra source of nutrients and minerals. 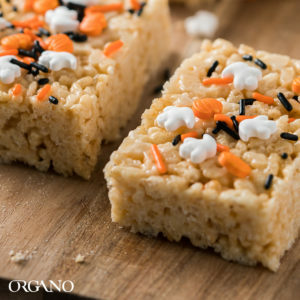 Offer a fun snack by adding a Halloween touch to our delicious desserts infused with Ganoderma. Our rice squares add the nutritious flavor of our OGX FENIX™ Shake mixes, are easy to prepare and are a great opportunity to share our new OGX Sampler Pack with your customers. Add marshmallows and stir until completely melted. Remove from heat and stir in the content of the OGX FENIX™ Shake Sample Sachet. Add crisped rice and stir until well coated. Press the mixture into a 13x9x2 inch pan coated with cooking spray. Sprinkle decorative candy and let the mix cool for at least an hour and cut into 2-inch squares. Finally, don’t forget to give your customers a special treat to take home. Craft a Halloween gift bag and put inside an OGX 3Day Trial Kit or a Coffee Selection Gift Set, so they call you back in no time! 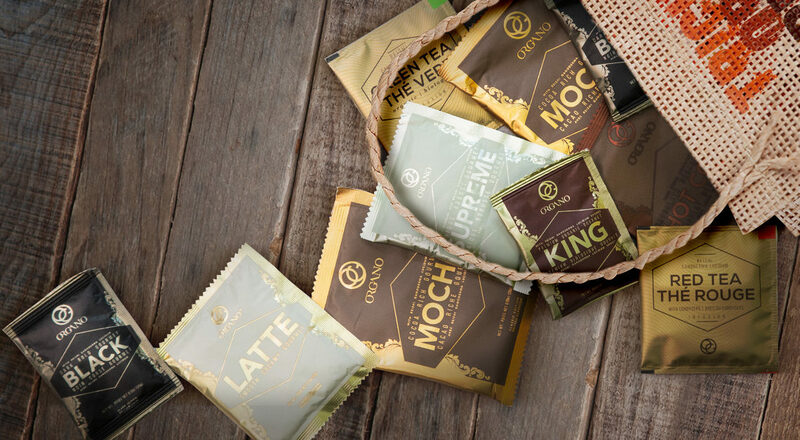 Make the most out of this Halloween season with ORGANO™!